The Shanghai Gold Exchange is a bit different from most, because they deal in the exchange of actual physical metal for paper, rather than mostly paper for paper, in a mad game of Liar's Poker played over a highly leveraged and apparently diminished base of physical assets. 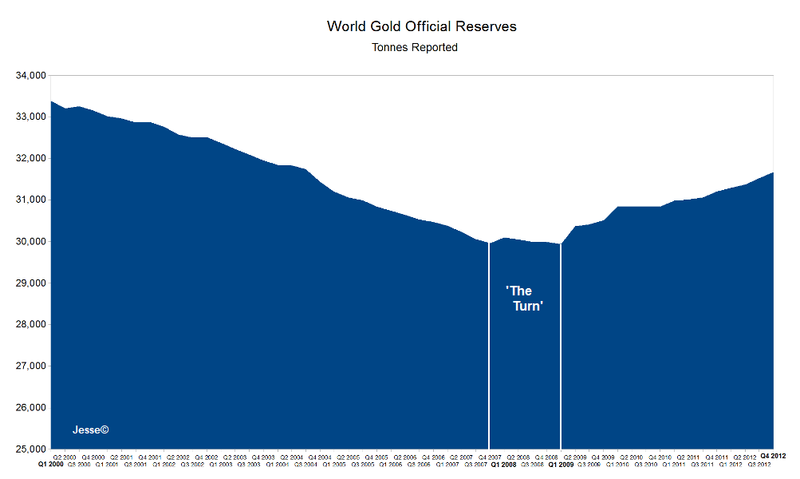 Gold is flowing from West to East. The long bear market in gold, fostered by official gold sales has ended. Central banks have become net buyers since 2009. Long term gold pools always end, and most always end in the same manner.